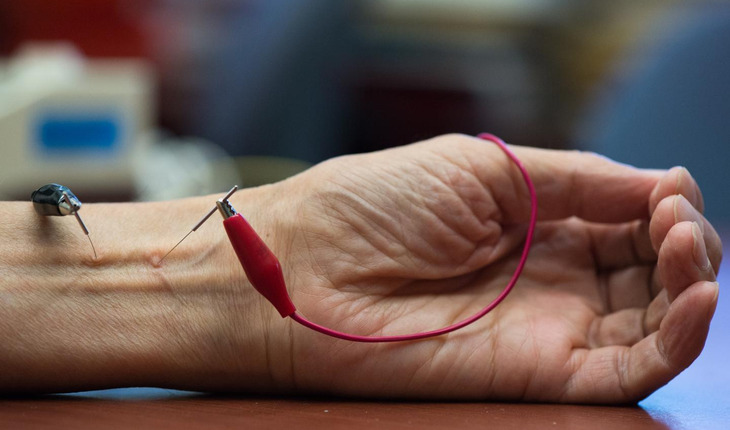 Researchers with the Univerisity of Calfornia, Irvine Susan Samueli Center for Integrative Medicine have found that regular electroacupunture treatment can lower hypertension (high blood pressure) by increasing the release of a kind of natural opioid in the brainstem region that controls blood pressure. An October 31st 2016 release from the university reports that In tests on rats, UCI cardiology researcher Zhi-Ling Guo and colleagues noted that reduced blood pressure lasted for at least three days after electroacupuncture by increasing the gene expression of enkephalins, which are one of the three major opioid peptides produced by the body. Their study, which appears in the Nature’s Scientific Reports, presents the first evidence of the molecular activity behind electroacupunture’s hypertension-lowering benefits.